Digital brand identity, E-commerce Website and Social Media presence development. 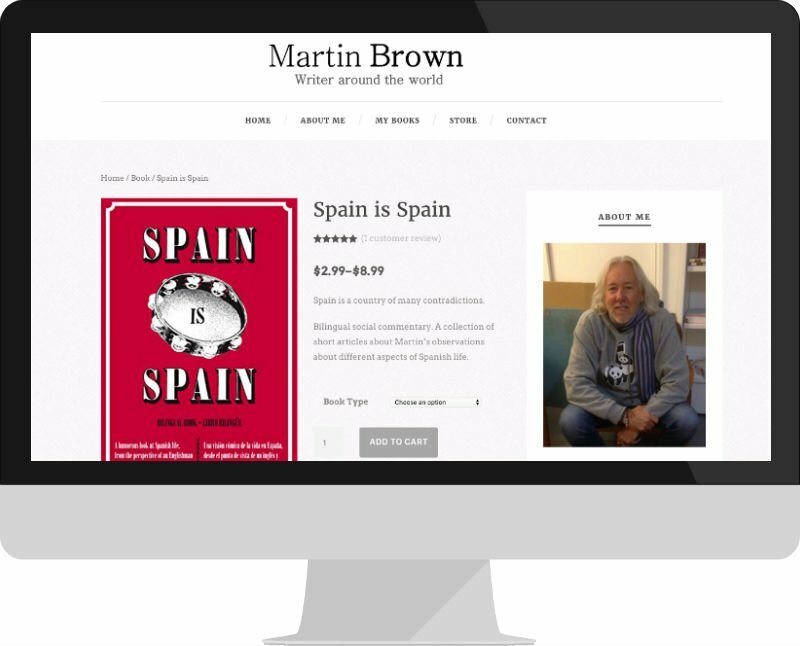 Martin Brown has been a writer for 50 years, he has lived in California, Spain and now he is back in the UK. He has self-published 5 books in the last 3 years and now he is continuing his prodigious output. He approached us asking for help on how to market his books. Position a writer in the overcrowded author’s market. Define a Marketing and Sales Strategy. Create an aligned Digital Presence. E-commerce Website Development & Social Media. Martin is a positive and enthusiastic person who loves writing, pure and simple. He aims to impact positively on people’s lives that’s the reason why he has published educational, bilingual (English and Spanish), humorous and socio-cultural books. Living Room 128 aims to position Martin Brown as a truly social character. We take the best of his interesting background and life experiences to create his online voice. 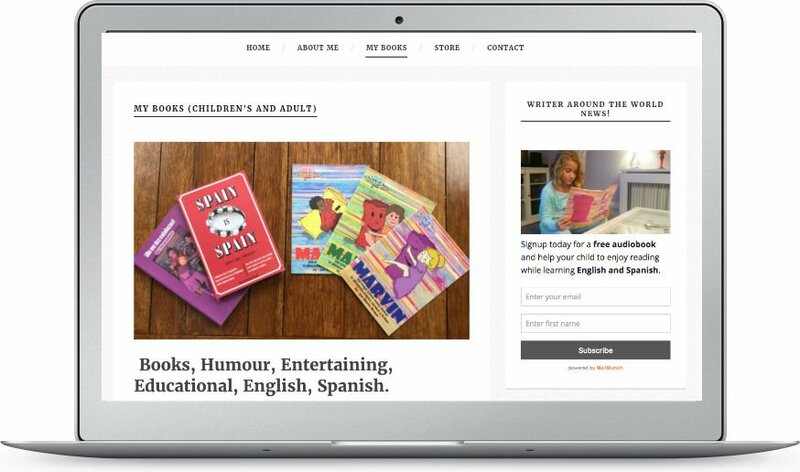 Meanwhile, we build a friendly, personal and honest digital image, we will combine his children’s and adult’s books store with inspirational writings and argumentative social shares. Focus on his wide target audience and needs, in 5 weeks time, we achieved a completed new e-commerce site with a modern and minimal layout. 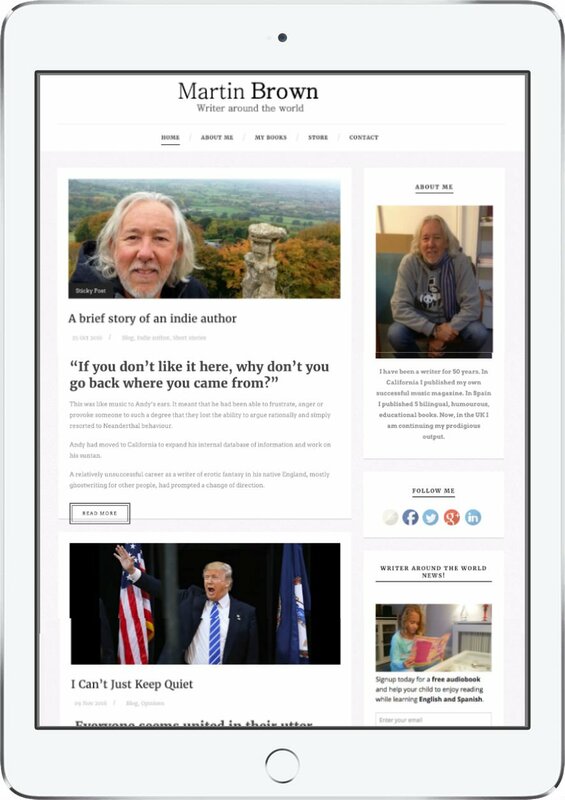 In addition, the author now has an aligned digital presence on the most relevant social media networks, books distributors platforms and marketing tools. We have optimised the content and position Martin Brown as a Writer around the world.